The transport authority in Singapore is making progress with its pollution reduction targets by enhancing its fleet with further hybrid buses from Volvo. “Not only can commuters expect quieter and smoother rides, but bus drivers can also enjoy a more comfortable working environment .To prepare our bus workforce for this change, LTA will work with industry partners to help upgrade our bus professionals through the Singapore Bus Academy,” representatives from the LTA said. The Volvo 7900 Hybrid uses 30 per cent less fuel and has a correspondingly lower climate impact than a diesel bus, and just half the nitrogen oxide and particle emissions. 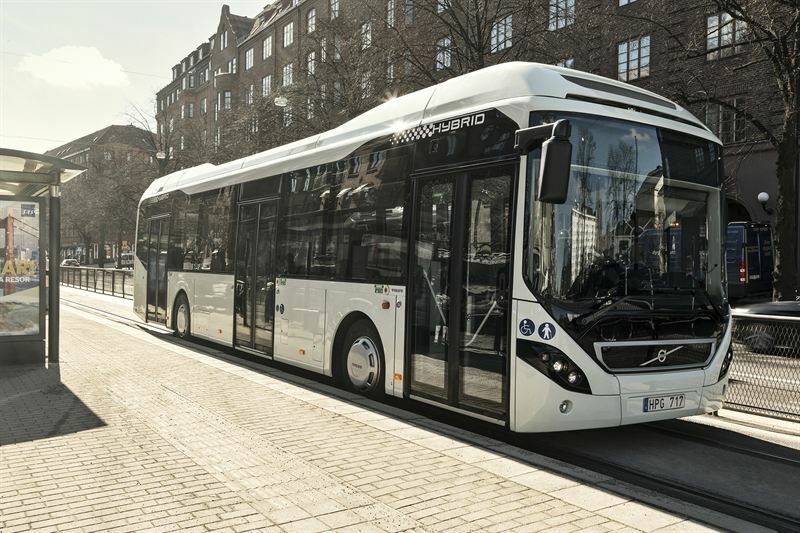 In total, Volvo Buses has now sold more than 3,000 hybrids worldwide. Singapore is considered one of the leaders in public transport in the Asia Pacific region. Many countries look to learn from the Singapore experience and enhance their public transport services. Volvo Buses is a well-respected and strong partner of the public transport operators and Transport Authorities in Singapore. “The order for the hybrid buses from the Singapore Land Transport Authority (LTA) is a major breakthrough and re-emphasises the technology leadership and commercial value delivered by Volvo Buses in Singapore”, said Manish Sahi, Head of Volvo Buses in the region. “These buses will provide users and operators from across the region with the opportunity to experience and understand this technology and will support Singapore as a ‘must visit’ item on the agenda of public transport regulators and operators in the region,” said Akash Passey, Senior Vice President, Volvo Buses International. The 50 buses – which are powered by a diesel engine as well as battery power – will be rolled out gradually for service by the second half of 2018.